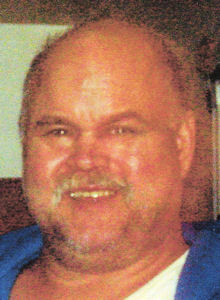 Robert W. Ralph, age 59, of Lorain, passed away unexpectedly on Wednesday February 6, 2019 in the emergency room of Mercy Regional Medical Center. Bob was born in Lorain on January 23, 1960 and remained a life-long resident of the city; he was a 1978 graduate of Lorain High School. Bob was a self-employed handyman who was highly skilled in small engine repair, upholstery, drywall, and all other areas of home repair and improvement. He was a member of St. John United Church of Christ in Lorain and was also a member of the Alliance of Transylvanian Saxons Branch 5. In his free time Bob enjoyed fishing as well as casino junkets. Survivors include his mother Betty L. Ralph (nee Gross), sister Debbie Tomusko (Bob) of Lorain, brother Tom Ralph also of Lorain, and a host of nieces and nephews. Bob was preceded in death by his father Richard G. Ralph, Sr. in 1997, sister-in-law Joyce Ralph in 2014, and brother Richard G. “Rick” Ralph, Jr. in 2015. Friends may call on Wednesday from 4:00 until 8:00 p.m. in the Gluvna-Shimo-Hromada Funeral Chapel, 3224 Broadway Avenue, Lorain. Funeral services will be Thursday at 11:00 a.m. in the funeral chapel with Reverend David Rogers, pastor of St. John United Church of Christ presiding. Burial will follow in Ridge Hill Memorial Park.